Robert E. Nesse, M.D. was born in Toledo, Ohio and received a B.A. degree from St. Olaf College in Northfield, Minnesota in 1973. He attended Wayne State University School of Human Medicine and received an M.D. degree in 1977. Dr. Nesse completed residency training at Oakwood Hospital in Dearborn, Michigan in 1980 and was board-certified in Family Medicine. On August 1, 1980, he joined the staff of Mayo Clinic in Rochester, Minnesota. He served as the residency program director for family practice from 1984 – 1990 and was Vice Chair of the Mayo Clinic Department of Family Medicine from 1990 – 1996. 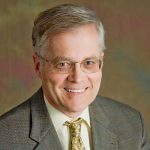 Dr. Nesse was the physician chair of the John Deere Clinic Development Committee and served on the steering committee that developed the Institute for Clinical Systems Integration in Minneapolis. In 1996 Dr. Nesse joined the Mayo Clinic Rochester Board of Governors and served as Vice Chairman of the Board from 1999 – 2004. From 2005 – 2013 Dr. Nesse was a member of the Mayo Clinic Board of Governors and the Mayo Clinic Board of Trustees. He continues to serve as an ex-officio member of the Board of Governors. 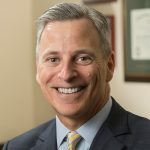 Dr. Nesse is a current member of the Management Executive Committee of Mayo Clinic and the Management Executive Operations Group for Mayo Clinic in the Midwest. In 2006 Dr. Nesse was elected to the Board of Directors of the American Medical Group Association and joined the AMGA Executive Committee in 2008. He served as the Chair of the AMGA Board of Directors in 2012 and completed his service on the AMGA Executive Committee on December 31, 2013. From January 1, 2004 – July 1, 2010, Dr. Nesse served as the President and Chief Executive Officer of Mayo Clinic Health System-Franciscan in La Crosse, Wisconsin. On July 1, 2010, Dr. Nesse became the Chief Executive Officer of the Mayo Clinic Health System and continues to serve in this role.